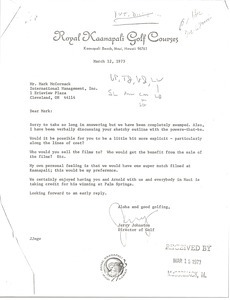 Newtown (Delaware County, Pa. : Township) - Forwarding a brochure of exercises for golfers. 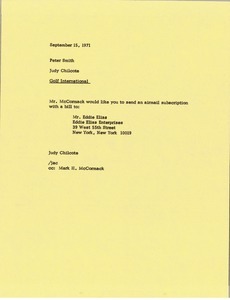 Requesting a subscription and bill for "Golf International" be sent to Eddie Elias in New York. 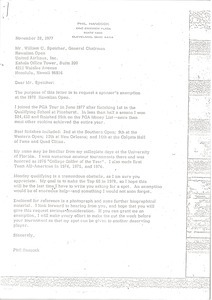 McCormack's secretary asks Symmons to send Wimbledon letters to Benson & Hedges, Wills and Michael Hpner of John Players. 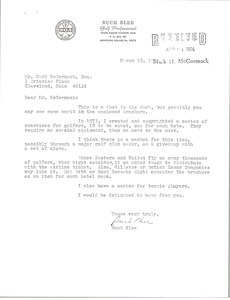 In addition, Chilcote notes that McCormack would like a complimentary subscription of "Golf International" sent to Ben Crenshaw along with an introductory letter. 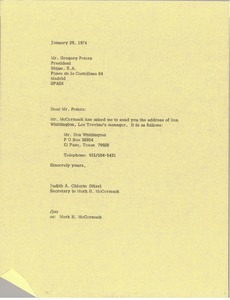 Geneva (Switzerland) - Forwarding the address of Don Whittington, Lee Trevino's manager. 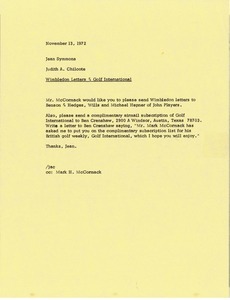 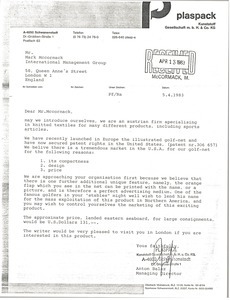 McCormack's secretary asks Symmons to put Frank Olson on the "Golf International"(GI) subscription list and send the bill to International Management Inc(IMI). 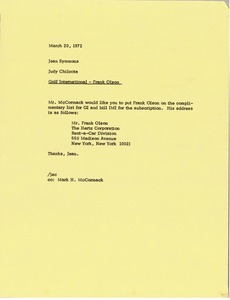 Discussing various aspects of business, including: advantages and disadvantages of doing business with friends or relatives; questions of when to deal with a middle man; client relations; interpersonal dynamics; and communication. 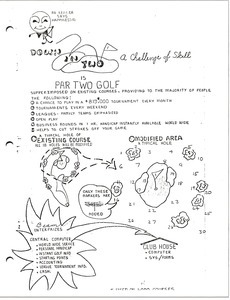 Also includes anecdotes on each topic. 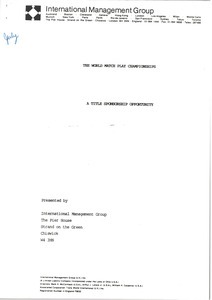 Could possibly be an edition of Success Secrets.